Amid the dramatic downturn in relations between the United States and Russia over the past few years, many analysts and commentators have fallen back on the Cold War as an easy analogy for the new U.S.-Russia rivalry. In Return to Cold War, Columbia University professor emeritus and longtime advocate of improved U.S.-Russia relations Robert Legvold asks whether the analogy holds and, more to the point, what lessons diplomats and politicians in both countries can learn from the process by which Washington and Moscow managed to wind down the original Cold War in the 1980s. 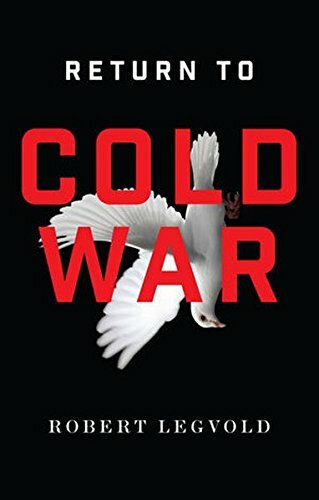 The first two chapters of Return to Cold War attempt to answer the question of whether the post-2014 competition between the United States and Russia is in fact a return to the Cold War. Legvold identifies a series of characteristics that, in his mind, defined the Cold War—which he uses as a kind of checklist to develop something like a general theory of cold wars, invoking the U.S.-Iran standoff since 1979 as another example of the genre. Moving down the list, Legvold concludes that the contrast between the current period and the original Cold War “is less stark than at first glance” (p. 42). While this exercise in comparison is useful, the whole question of whether or not the United States and Russia are locked in a new Cold War rather misses the point. Some elements of the current U.S.-Russia confrontation echo the earlier period, but others do not. As ever, history does not repeat but merely rhymes. Regardless of whether the current U.S.-Russia confrontation is a rerun of the Cold War, Legvold rightly argues that the Cold War, especially the U.S.-Soviet diplomacy that ended it, holds lessons for the present. Figuring out how to escape from the current period of confrontation requires, first, understanding how we got here. Ukraine sparked a dramatic U.S.-Russia confrontation because of “the inability of the two sides ever to place the relationship on a self-sustaining basis” (p. 90). At the end of the Cold War, both sides wanted to institutionalize cooperation, but neither had a clear vision, above all for reconciling Washington's and Moscow's visions of Europe. The United States solved “one half of Europe's security problem through NATO enlargement” but in the process “accentuated the security problem in Europe's other half” (p. 100). Russia, meanwhile, failed to reassure its immediate neighbors, driving them to seek security with NATO while perpetuating NATO's view of Russia as a threat. While this story has been told before, Legvold tells it concisely and evenhandedly. The most interesting and useful contributions of Return to Cold War are its suggestions for getting out of today's dangerous U.S.-Russia confrontation. Legvold starts by suggesting some general approaches that both sides should take, including taking stock of why the bilateral relationship matters, mutual self-reflection, and the development of a positive vision for the future. More relevant are specific, sometimes counterintuitive policy proposals, such as Legvold's idea of rolling back sanctions on Moscow while building up Ukraine's military, including through the gradual introduction of advanced armaments. Another insightful suggestion is for Washington and Moscow to develop “a realistic strategic vision . . . and [work] back” to specific problems rather than starting small (p. 143). Return to Cold War was written and published before the revelations of Russia's interference in the 2016 U.S. election became public. With a shambolic administration in power in the United States and suspicions of collusion with Russia hanging over every conversation with Moscow, a strategic reassessment of the kind Legvold advocates is unlikely to occur anytime soon, at least at the official level. Nonetheless, Legvold is right that the absence of a clear vision for the post–Cold War period contributed to today's damaging standoff. While the possibilities today may be more constrained than they were in 1991, having such a vision, preferably one shared by both sides, would help avoid condemning the United States and Russia to another four decades of nuclear-tipped confrontation.